It is essential to be extra careful around train tracks, whether waiting at a station, or in a car or on foot approaching a rail crossing. Trains can come from either direction at any time, so remember to stay alert and heed all warning signs and signals. Here are some quick tips for staying safe at the station and around the tracks. Avoid running around the station and near the platform. Always wait behind the yellow line on the station platform. Never sit on the edge of a station platform. Stay at least three feet from the train while it is arriving at or departing from the station. Do not cross the yellow line to board your train until it has come to a complete stop. Never board or exit a moving train. When boarding, watch your step. There may be a gap between the train and the platform. Follow directional signs and warning signals when crossing tracks. Do not cross the tracks until you know it is safe to do so. Whether in a car, on a bike, or on foot, never try to beat or go under a crossing bar, even if it is not all the way down. Cross the tracks only at designated crossing areas. Doing so anywhere else is not only dangerous, but also illegal. Use caution when using cellphones and remove headphones when nearby or crossing the tracks. Be aware of your surroundings, and make sure you can still see and hear signals and warning signs. Never stop your car on railroad tracks. If you cannot move your car due to traffic congestion or mechanical issues, get out of the car and off of the tracks. For more information on rail safety, visit Operation Lifesaver. When parked at a station, do not leave valuables in your car, as this could invite break-ins. Do not leave valuables or personal items unattended on your seat while on board the train. Do not leave small children unattended on the train or on the platform. Please accompany them if they need to take a trip to the restroom or Café Car. If you have your bicycle on board, be sure to secure it in a designated bike storage area or bike rack. Do not leave bikes in the aisles. See our Bikes on Board page for tips on securing your bike. We appreciate your help in keeping our stations and trains safe and secure for all riders. If you notice a suspicious package or bag, do not touch or attempt to move it. If you notice a suspicious individual, do not question or confront them. 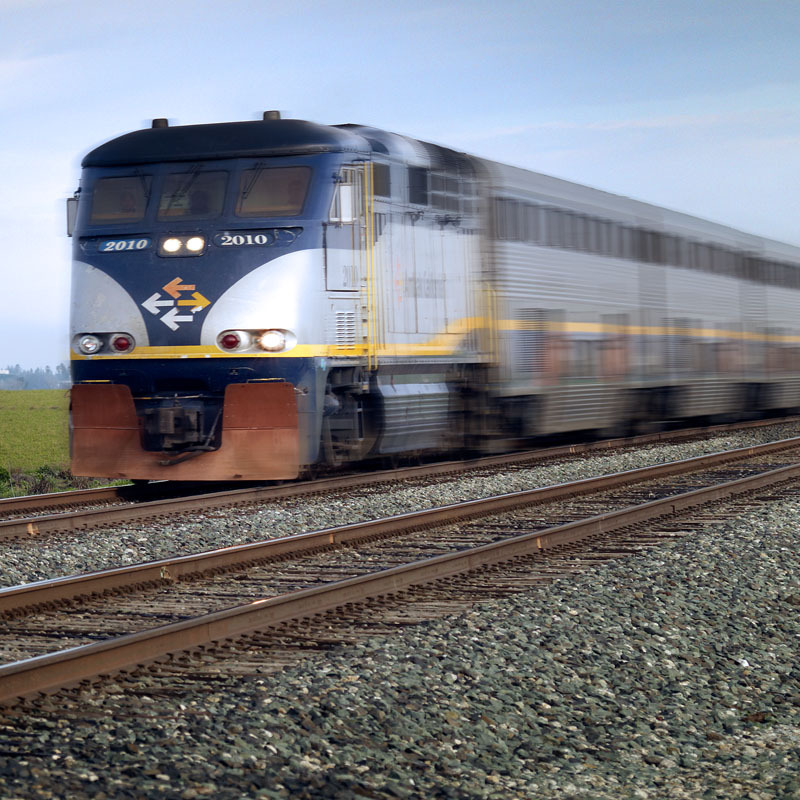 Report any out of the ordinary activities or unattended items to a station agent, conductor, or other Amtrak or Capitol Corridor personnel. If Capitol Corridor or Amtrak personnel are not available at a station or on board the train, call Amtrak Police at 1-800-331-0008. If you are not able to contact Amtrak Police, call 911.